The Action for Change (A4C) announced Thursday as the second day for the walk-to-work campaign protesting the high prices of fuel and other food stuffs. The opposition leader Kizza Besigye set of off with his journey at 6:15AM but like it was the case on Monday, he was again intercepted. He did not sit by the road side this time but instead went to a trench besides the road where he spent two hours among others communicating on his cell phone surrounded by his supporters to stop the police from arresting him. The police later managed to force it's way to the trench getting Kizza Besigye(KB) out of the trench as stones and tear gas were the order of the moment. Burning of tyres followed in areas around the scuffle. Besigye later over powered the police and continued with the walk to town but it was not necessarily over powering. Police was instead calling for back up and within minutes of walking, Military police was deployed to help the police contain the situation. Areas around Kalerwe were a scene of anti-riot police trying to clear roads that had been blocked by protesters and arresting all those who were suspected to be behind the stone throwing and tyre burning. Mothers and young kids were seen crying for help from the effects of tear gas as other kids were being rushed to waiting Red Cross Ambulances. 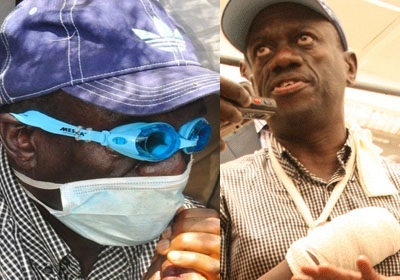 It later turned out that Besigye's right hand had been hurt with what he(Besigye) termed as a rubber bullet but the police through it's spokesperson was not quick to admit that it was a rubber bullet and preferred to wait for the doctor's report on what the cause of the injury could have been. He was rushed to Kampala hospital to nurse the hand injury. The same riots were witnessed in Masaka where a group of about 300 youths engaged the force in running battles and in the end, ten were arrested. In Jinja, a tear gas truck was deflated after rioters put nails in it's way forcing the police to resort to a fire brigade to quell the situation. The mayoral elect Erias Lukwago, JEEMA's Kibirige Mayanja, Beatrice Anywar, Asuman Basaalirwa, Nandala Mafabi were among those arrested on Thursday. 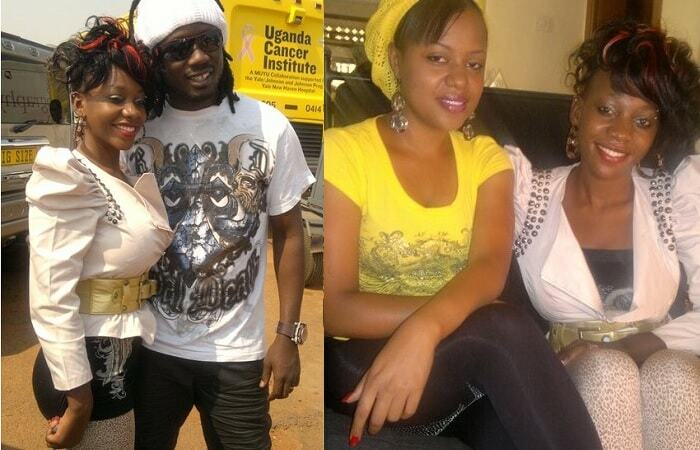 Mukono's Betty Namboze will actually spend the night behind closed bars. Odonga Otto survived being arrested for the second time and yet this time he was even donning a t-shirt with words "Freedom-Walk to Work". On being interviewed at Parliament, he wondered why other opposition activists were being arrested.